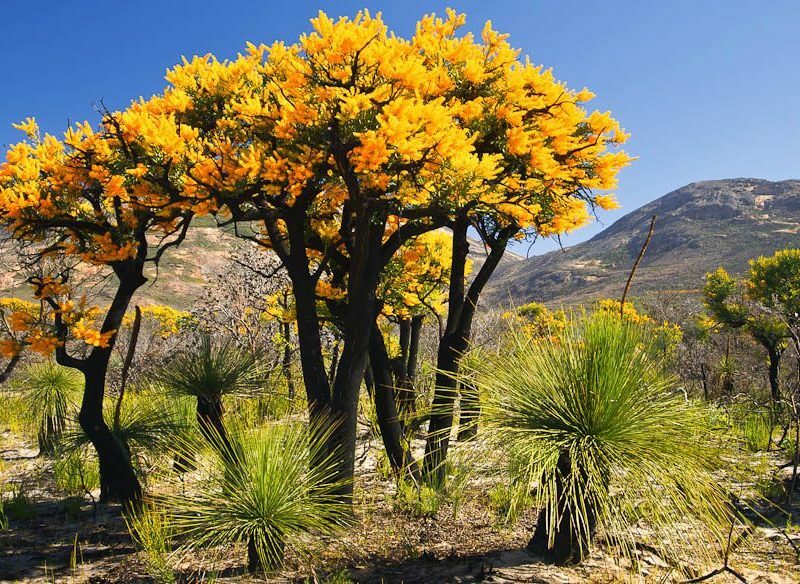 The WA Christmas tree, Nuytsia floribunda, produces spectacular flowers in summer but is rarely found outside the south of the state. Visitors can self-drive to the park by car and see the park’s wildflowers, fauna and idyllic beaches, but for local knowledge and expert advice, try a guided tour such as with Esperance Eco- Discovery Tours. Alternatively, Aussie Bight Expeditions runs wildflower tours during spring. 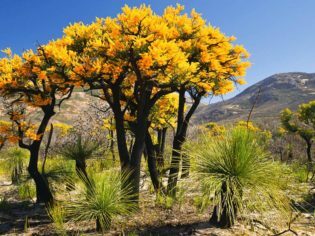 “Native Christmas trees are so vibrantly coloured, and when you pair them with clusters of tuftyheaded grass trees, the landscape takes on the aspect of a Pixar-created prehistoric world.” – Elisabeth Knowles, editor, Australian Traveller.